Alicia's Advice for Speaking Success: Watch Your Language! In 1991, my community college Spanish teacher invited her class to her home in Honduras. Two other students and I jumped at the opportunity. We were excited to test our new language skills in a native land. After all, we spent two nights a week for three months learning conversational Spanish. On the plane we tested our new found tongue using simple phrases such as “please” and “thank you” gratuitously to anyone who had an accent. It wasn’t until after the flight, we learned our gracious stewardess on Aero Mexico was actually from the Philippines. And when we settled into a hotel, the owner spoke English and was excited to test his language skills on us Americans. We obliged. Why make it so difficult? Each day, our teacher and hostess took us on a little adventure, speaking to us in English and Spanish. Her brother spoke to us primarily in English to increase his language skills. It seemed everywhere we went, we were speaking English and all we wanted to do was speak Spanish. A few days into the trip, we had a day to ourselves to explore our surroundings. We walked to a little market just down the street from our hotel. We nodded to those passing by, smiled at an old lady without teeth, stopped to pet some dirty cats, truly taking in each sight and sound of the streets. Within a few minutes of arriving to the market, one friend, Becky, found a trinket she wanted to buy. The moment had come. She was going to attempt to speak the native tongue. And she failed. The shop owner looked at her quizzically and she tried again. “No comprendes,” was the reply. So our other friend, Marianne, stepped in and the shop owner answered. Problem was we didn’t know what he said. We asked again, and he replied. Yet, we still did not understand! After a handful of gestures and counting on fingers, Becky exchanged some change for her trinket and we were on our way. We shrugged it off as our first encounter and took into consideration that Becky’s thick Southern accent is probably what caused the language barrier. As we rounded a corner, a western food chain, Pizza Hut, seemed to call out our name. So as not to take chances with street vendor food, we stepped in. You would think a Pizza Hut in Honduras would be the same as a Pizza Hut in Houston. Well, it’s not. The menu was completely different, and guess what? In Spanish! Ahh, another opportunity to speak Spanish! I was so excited. I successfully placed an order for a slice of “pepperoni y queso” pizza. I knew the word queso which was great because I love cheese. But Marianne wanted to know what kind of queso. She attempted to get an answer but after several failed attempts she just placed her order for a slice without queso. I asked her why and she said there are some cheeses she can’t tolerate. Well, I don’t know about her but I thoroughly enjoyed my pizza. I noted the cheese tasted different but I enjoyed this special North American treat in the middle of Central America. Later that evening, our hostess stopped by the hotel to make sure we were okay. Marianne replayed the conversation at Pizza Hut. “So exactly what kind of cheese was this queso,” Marianne asked. Our hostess replied “Oh. Goat cheese! It is good, no?” I about died. I had never had goat cheese in my life and I am not very adventuresome when it comes to my food. “Well,” I said wide eyes and a huge grin, “I am still alive and not sick so I guess, yes, goat cheese is good!” We all got a chuckle out of it. So I can’t speak Spanish all that well but in business, I do speak my own language extremely well. I use different jargon when designing websites, when brochures are being printed, and even for laying out a book. 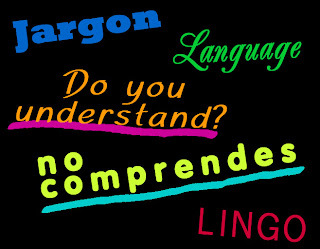 When speaking to my clients I must remember that they may not understand my unique language. It’s easy for me to rattle off a list of things I need from my client but words that seem self-explanatory actually may not be. The last thing I want to do is send a message that I cannot effectively communicate with my client. So I have started speaking in basic terms and while speaking ask if what I say makes sense. If it doesn’t, I go back and provide a visual image with my words. I find that when I explain something visually, people get the idea right away. In fact, I take pride when I hear a client use jargon that she has learned from these explanations. 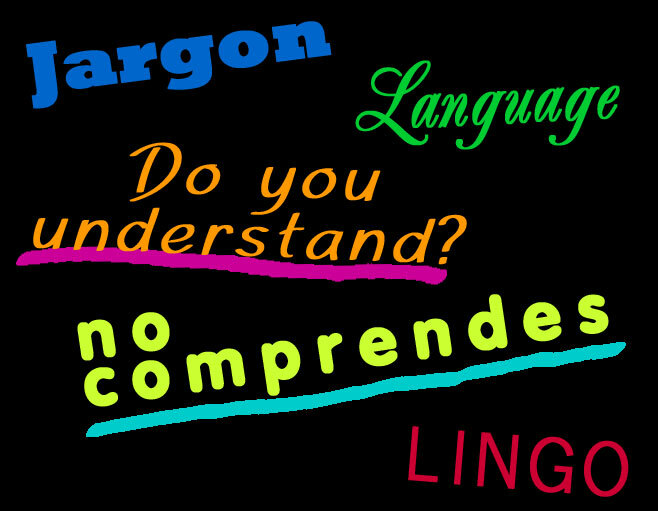 I encourage you to be cognizant of the language or business jargon you use when working with clients. If they understand your message clearly, then there is no confusion and everyone is on the same page. It makes for better customer service. Tu comprendes?